Great in tacos or anywhere you would use Mexican shredded chicken. A chicken taco salad. Chicken burritos or enchiladas. My wife is planning a Mexican buffet with this as a featured component. 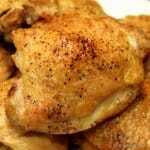 Start with some skinless boneless chicken breast and cook in a slow cooker in spiced up salsa until it falls apart. 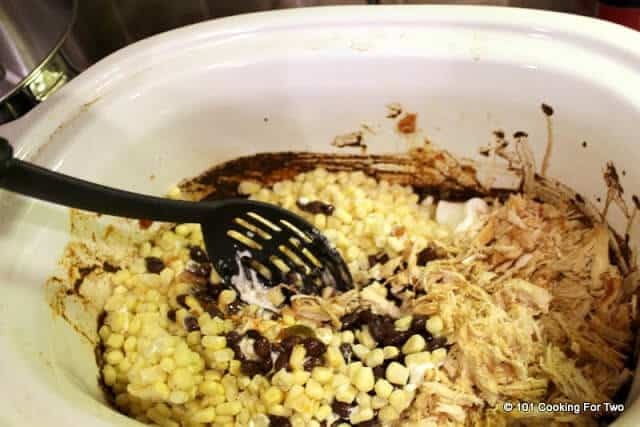 Shred and add some sour cream, corn, and black beans. My wife did the rating. Two thumbs up and “you can make this anytime”. I think I have found one of her favorites. Notes: Scale to make the amount you want. 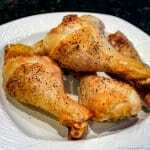 The three breast make a HUGE amount of shredded chicken, but it should freeze well. A good 12 large serving, probably more, we lost count. 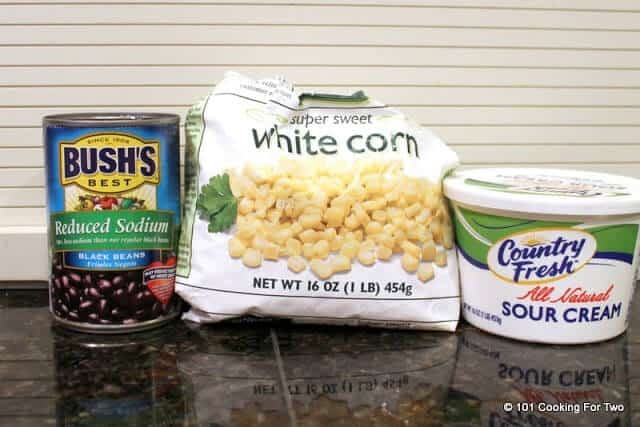 The white corn is much more tender and sweet than the standard corn and is highly recommended. Trust me on this, and I’m from Iowa, and we know corn. If you want a “plain” Mexican shredded chicken, skip the additions after the shredding but do finish up the 8-hour cooking. Start with about 2 pounds of chicken. This is three medium to large and is closer to 2 1/2 pounds. Trim well and remove that little piece of meat/fat on the rib portion. Mix 2 cups of salsa of choice (I prefer medium ChiChi’s or Pace) with 1 T chili powder, 1/4 t of oregano and cumin in the crock pot. 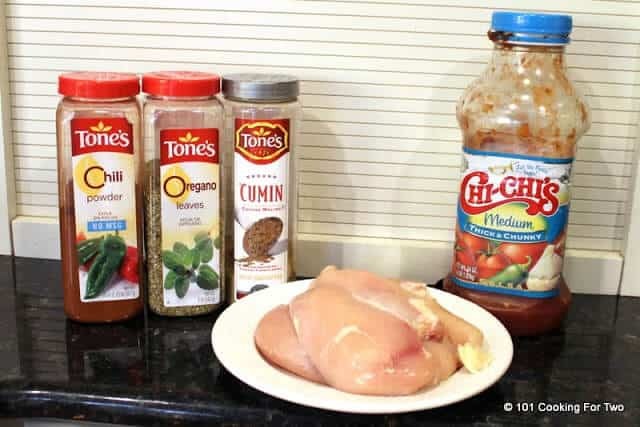 Place the trimmed chicken breast in the salsa, push to bottom and cover with some of the salsa. Start the slow cooker on low for 8 hours. 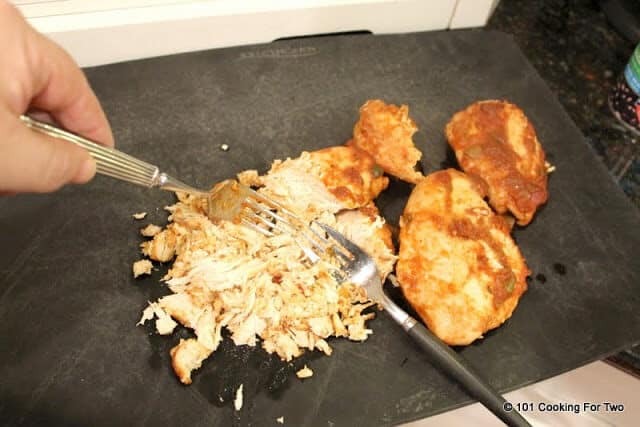 At 7 hours, remove the chicken to a chopping board and shred with two forks and place back in crock pot. Add 1 cup sour cream, 1 pound of frozen corn. 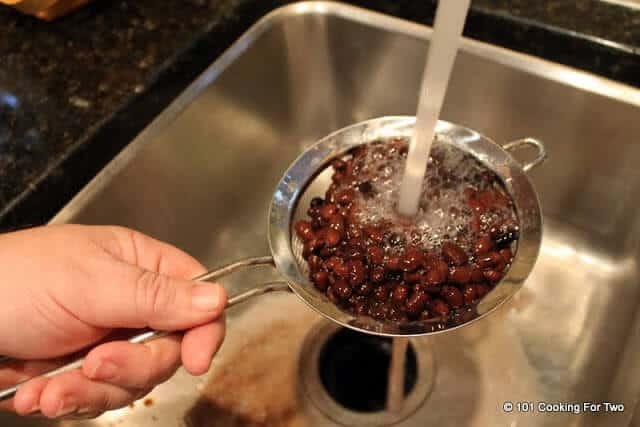 Rinse a 14 oz can of black beans under running water and add that also. Mix well and cook for the last hour. 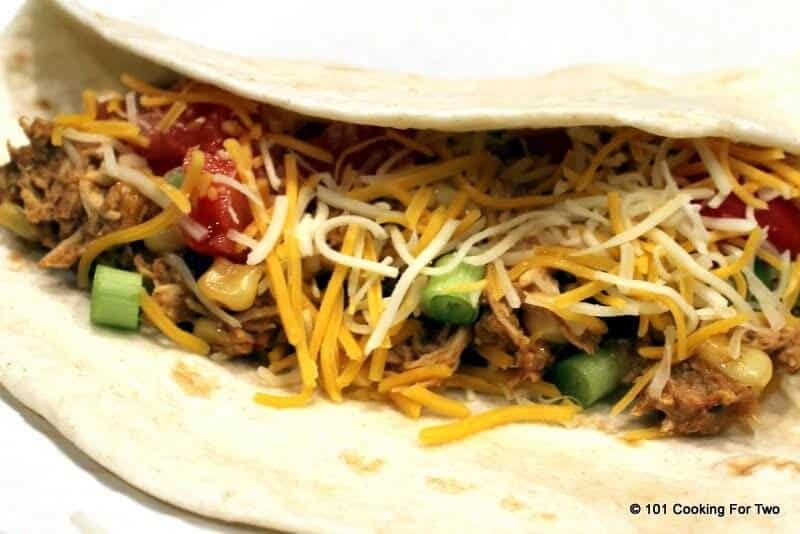 Great in tacos or anywhere you would use Mexican shredded chicken. A chicken taco salad. Chicken burritos or enchiladas. Start with about 2 pounds of chicken, trim well and remove that little piece of meat/fat on the rib portion. 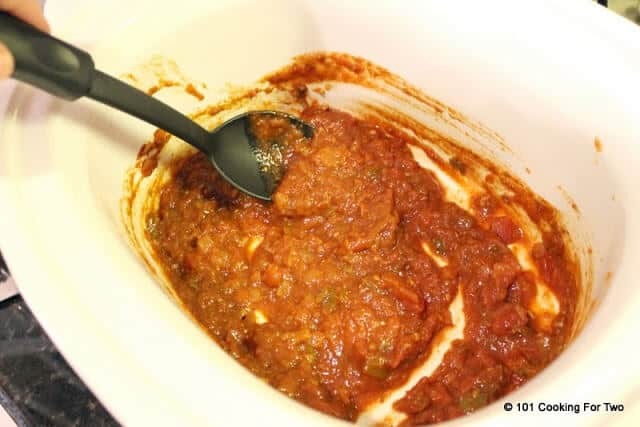 Mix 2 cups of salsa of choice with 1 T chili powder, 1/4 t of oregano and cumin in the crock pot. Place the trimmed chicken breast in the salsa, push to bottom and cover with some of the salsa. Add 1 cup sour cream, 1 pound of frozen corn. 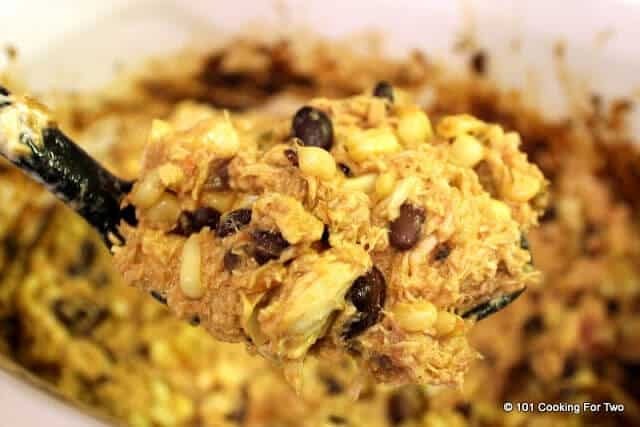 Rinse a 14 oz can of black beans under running water and add that also. Does this have to be cooked on low for 8 hours? 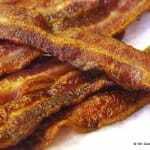 Could I cook on high for 5 hours? Sounds great, but I found this too late in the day for 8 hours. Sorry for the delay, I have been driving all day. I have never done high on this recipe. That might be ok BUT low on most crock pots should be below boiling point where high should be 250-300 and some run even higher. So on low, the edges may boil a little but on high the salsa might burn. The chicken would get done but I’m concerned about the rest of the recipe. I have made this a number of times now and each time, it’s better and better! Every few weeks we’ll have this! It’s awesome! My only problem is it does produce “masses” of food but it does freeze well as long as I can remember it is there. Does this freeze well? I heard sour cream can start to look weird once frozen. I am trying to make meals ahead of time and freeze them. I have frozen it for a few weeks with no adverse effect. Longer term I would think it would be fine for a few months depending on the freezer. That would rock used as enchilada stuffing or chimmichangas.